Leadership, Culture, Engagement & Experience. Mykel Dixon delivers fresh, inspiring & engaging keynotes that move audiences to meaningful outcomes. 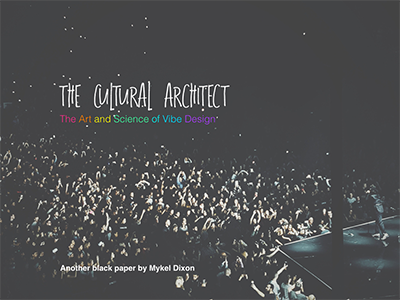 A jazz-musician by trade, gypsy by nature, fierce nonconformist, & prolific anti-perfectionist, Mykel helps people and organisations thrive by rediscovering their creative confidence, reimagining their creative potential and reinventing their organisation for relevance in a 21st Century Renaissance. Blending his unique experience, a bias for action and a magnetic stage presence, Mykel’s keynotes are practical, poetic and full of possibility. 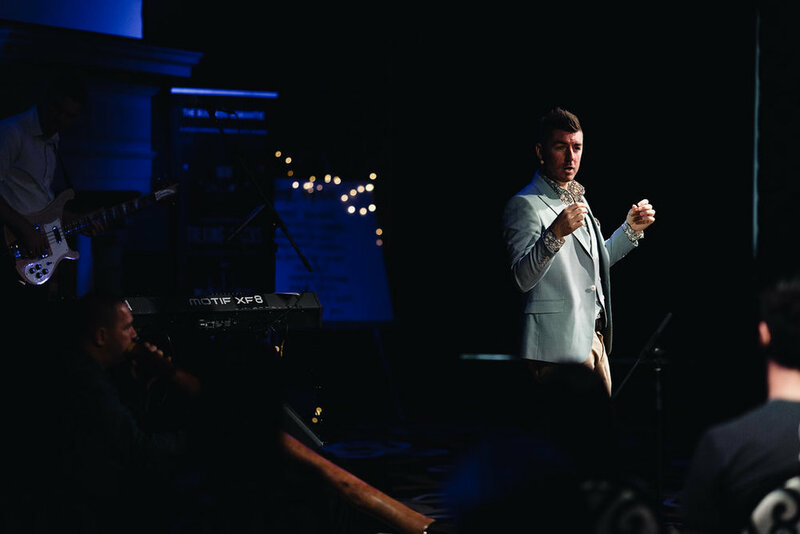 Every presentation is customised to drive maximum impact and his use of live music, spoken word, visual storytelling and audience participation gives him an unmistakable edge. 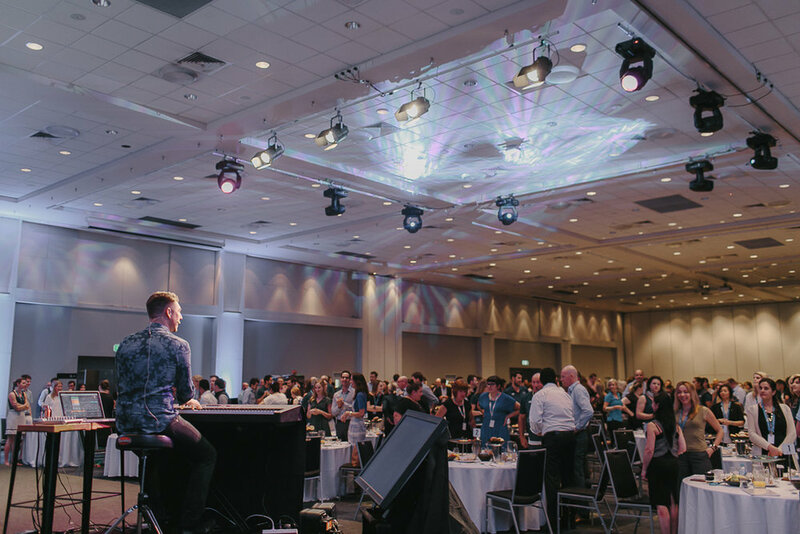 Mykel Dixon is the not-so-secret weapon for conference organisers looking to inspire fresh, innovative thinking. His live learning experiences unite teams, ignite creativity and equip audiences with the skills to solve complex 21st century business challenges. 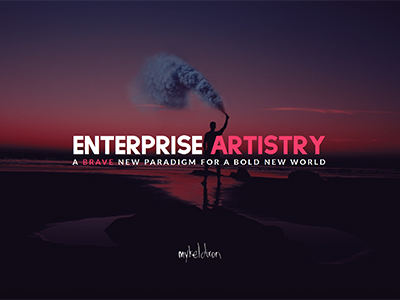 As the accidental author of two books: Just do 5omething – A guidebook for turning dreamers into makers (2016), and Enterprise Artistry – A brave new paradigm for a bold new world (2018), Mykel is fascinated by unlocking personal and professional Artistry. His unconventional and innovative approach to business, leadership & creativity has earned him opportunities to partner with a diverse array of organisations and conferences including: Google, World Vision, Intuit, Bupa, Atlassian, Johnson & Johnson, Parmalat, Bayer, CPA. Mykel is also widely known for his personal creative projects. Embodying the essence of his message, he is fearless with his creative self-expression. His latest project, ‘The Art of Everything’, demands he produce and publish a new short film every week for 5 years. As a keynote speaker, MC, creative advisor and event experience designer, Mykel leads a new wave of entrepreneurial experts helping conferences and companies deliver radical, visceral and meaningful event experiences. Harnessing High Performance Creative Leadership in a 21st Century Renaissance. When Creativity is the strongest economic currency, Experience is the new cost of entry and Human is the only meaningful strategy, the future belongs to the Artists. In this daring, thought-provoking and soul-awakening keynote, you’ll learn that in the emerging economy, money follows meaning, thinking needs feeling & the maker matters just as much as what is being made. 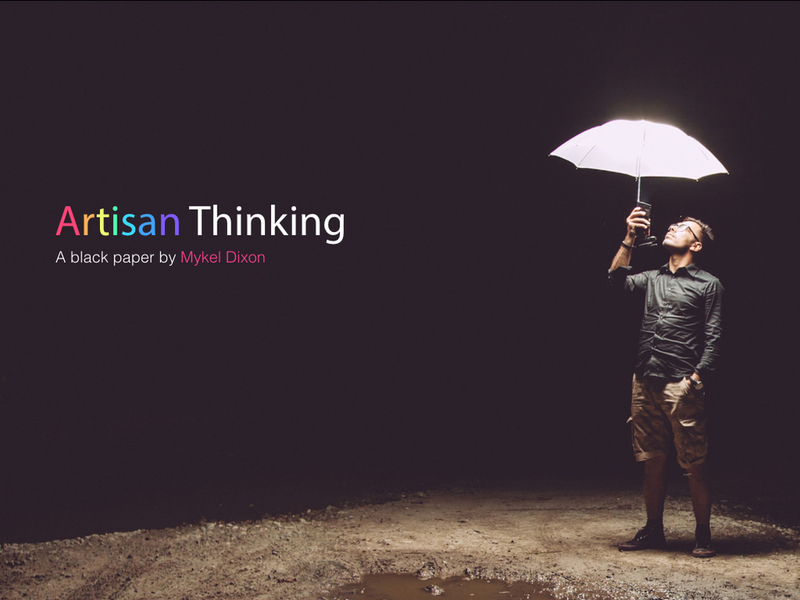 Learn how to harness you innate creativity. Apply creativity daily across all business activities and roles. Develop specific techniques to build creative confidence. Build a creative culture that celebrates fresh thinking and embraces new ideas. Apply best practice innovation techniques from the world's most innovative companies. Fostering breakthrough creativity in teams through improvisation, inclusion & agility. The challenges we face today are too complex to be solved in isolation. Collaboration & co-creation are essential tools for growth. Our ability to foster innovative & inclusive team cultures will define the quality & consistency of our output. In this highly interactive and fully immersive keynote, with a live band on stage!!! you'll learn how to listen for, lean into and leverage the differences of your team by borrowing the dynamic principles and practices of a live rock n roll band. Develop your own ability to improvise, no matter what job title you hold. Establish team dynamics that foster creative thinking and risk taking. Break free from traditional thinking and uncover vast new possibilities. Adopt techniques used by jazz musicians to foster creativity to your organisation. Expand your ability to deal with ambiguity and recover from setbacks. Activating, articulating and amplifying your authentic, differentiated edge. In an age of individualism, where differentiation is key, knowing stuff is no longer enough. To be remembered or referred, requires more than expertise or experience. You need an edge.. The Art of You keynote gives audiences a practical pathway to finding & defining their unique value and infusing it into their personal and professional lives. Learn practical techniques to discover your differentiated edge. Unlock the power of contrast, juxtaposition and paradox when describing yourself. Develop an authentic confidence to be all of you, all of the time. Learn to be transparent and vulnerable without losing yourself. Develop ways to own, enjoy and leverage your quirk and individuality. Interactive, fast-paced, visually beautiful & emotionally entertaining. Mykel moves your audience from engaged to enchanted to action. Mykel doesn't just connect to your audience, he connects your audience to each other. No fuss, easy to work with, goes above and beyond to serve your audience and event. The stage is only half the story. Tailored pre and post content** to embed the learning. Ideas blended with execution. His message is amplified by his method. He speaks about creativity, creatively! Live Music, Spoken Word Poetry, Improv Theatre, Audience Participation & Film make for a wild ride. From breaking vows of silence in Indian Ashrams to owning beach bars in Cambodia, Mykel's experience and expertise is wildly unconventional. He takes real time to learn your organisation, audience & key objectives then tailors each presentation for relevance and impact. AUdiences relate to Mykel's down to earth style of delivery. He makes them feel safe to think outside the box. Your audience will be moved and inspired while gaining practical tools to take action today!